It's odd that I haven't posted on this very important aspect of commuting on two wheels. Whether you commute on a bicycle, a moped, a scooter, a motorcycle or one of those Bombardier Can-Am Spyders, the reality is that street clothes are not a good option. 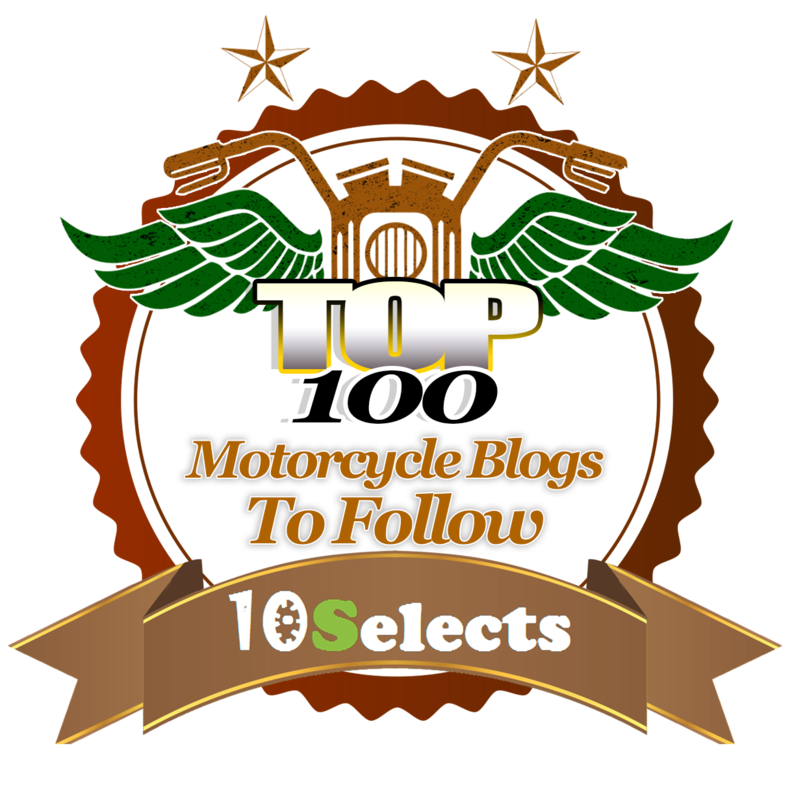 The bicycle commute will be too sweaty, and, the moped option aside, if you value your skin, armored gear is a necessity. I can only speak for my own situation. It took me a while to get it down to an art, if not a science. I'm lucky because I have a closed office with blinds on the windows. It would be the perfect changing room, except for the window right next to the door. 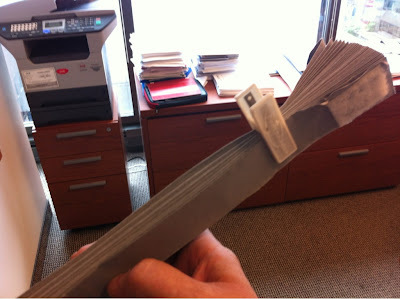 The solution I ultimately stumbled on to get the privacy I needed to change my clothing was a very inexpensive temporary pleated blind. They are designed for use when you move into a new home or apartment and haven't got window treatments. You cut them to size with a pair of scissors. 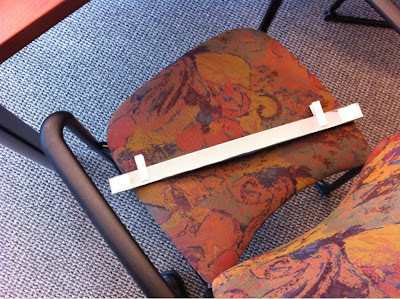 There is no hardware, only two plastic clips to hold the blind together when it is not in use. 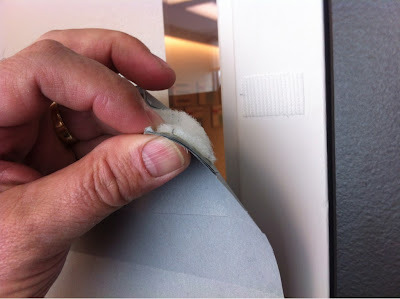 I simply mounted some self-adhesive hook-and-loop fastener to the ends of the blind and to each side of the window frame. When I arrive in the morning, I put up the blind, remove the plastic clothes peg type clamps, and presto, all the privacy I need to get out of my gear and into the suit I must wear for work. 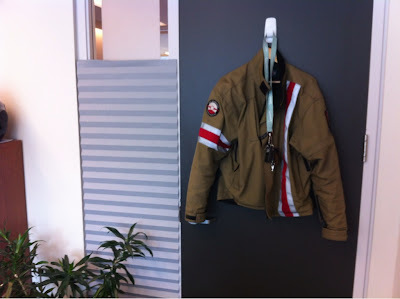 My riding jacket hangs on a hanger on a hook on my office door. The hook is one of those removable self adhesive hooks that won't damage the door. 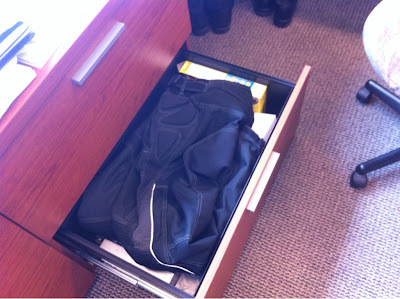 My armored pants fit into one of bottom file drawers in the credenza. My armored boots just sit under the return portion of my extended desktop. 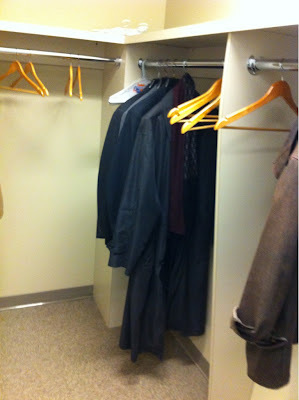 At the beginning of the riding season I bring my suits into the office and leave them hanging in the closet. There's plenty of room and I always have enough suits to change things up. As you can see, I also have a trenchcoat and scarf handy for when it's nippy in the spring or fall, or for when it's raining during the day and I have to go out for a meeting. 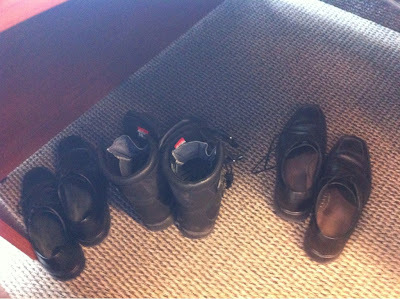 My dress shoes sit under my desk where I keep the riding boots. 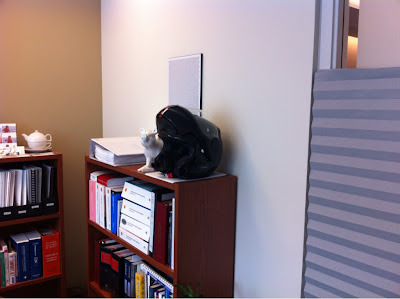 My helmet sits on top of one of my bookcases. This solution works really well for me. It just needs a little setting up and dismantling at either end of the riding season to ferry the office clothing back and forth in the car. Privacy is never an issue since I have my own private bathroom (the rest of staff is all male). 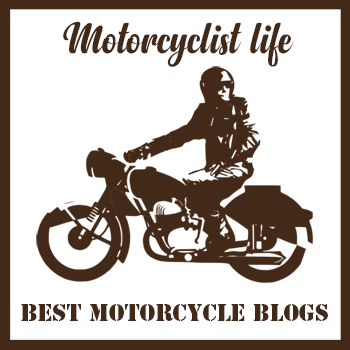 I keep a selection of dress shoes under the table, where the motorcycle boots live during work hours, the rinding pants are stowed in a drawer, the jacket in the closet, and the helmet goes on the shelf. Hmmmm... great minds Sonja, great minds. I envy you that private washroom. 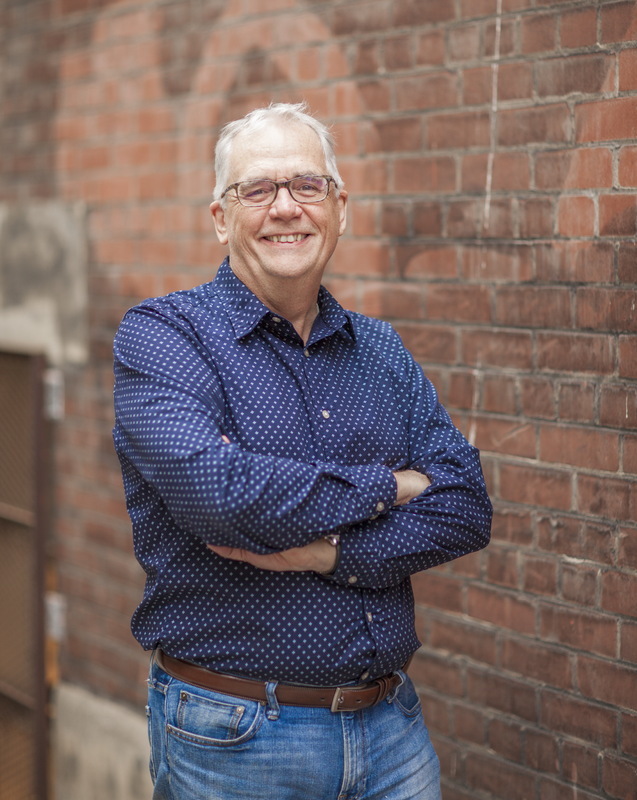 The founding partner of the law firm I went to work for had a private washroom, complete with shower, in his walnut paneled office. I was so impressed. I keep extra shoes at work. 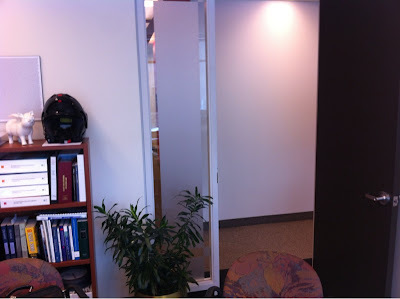 I wear riding pants over my slacks but I don't need a blazer or suit, nor a tie so I don't need a change room, but I have my own office with door, and the small window beside the door has venetian blinds, so if I close the door, it is private. is riding his scooter to Montreal. I told him to give you a shout. Sonja, only the most important people have private showers. When I worked at the largest public company in Canada, the very, very, top execs had them. Bob, Mike has been in touch. I'll pay forward your incredible city tour when he rolls into town.